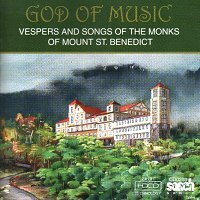 God of Music is more than an expression of gratitude to God for the ninety years of the existence of the Mount St. Benedict Monastery in Trinidad & Tobago. The CD is also a remarkable manifestation of the talent that is so bountiful in the twin island nation, and the West Indies including Guyana. It is extraordinary, and laudable that a recording of this type and quality is produced. Beyond the relative few, we all now know that there is more than calypso and steel pan in that land. "The groups that assisted the monks in the production of this CD did so spontaneously and generously. It captures the mood in which so many people over the ninety years have similarly shared themselves and their resources with the community". So true. One hears it and feels it in the joyful presentations. One does not have to be religious to get the feeling of the melodious singing of varied voices and groups. The monks are at the beginning and their renditions are as to be expected: staid, Gregorian chant-like conveying a tone and atmosphere of tranquil surroundings. The popular and accomplished chorale, Lydian Singers, perform the last four selections, tracks 14 through 17. Their short recital synchronizes with the Monks' Vespers and gives the recording a well-rounded feel. Money well spent, you say, if you listen to the beginning and the end. But you would deprive yourself of much. In the middle, are a number of performances that confirm the abundance of quality and variety of the talent. Track 4 - Les Petits Enfants presents the children's voices. Track 7 - In God's House is the Caribbean folk style. Track 10 - As The Potter's Clay is similar in character. On tracks 12 and 13 - We're Family and As Bread That Was Broken, respectively, there is the contemporary Christian intonation. The God of Music showered blessings all around so that the music is presented in a manner befitting a deity.